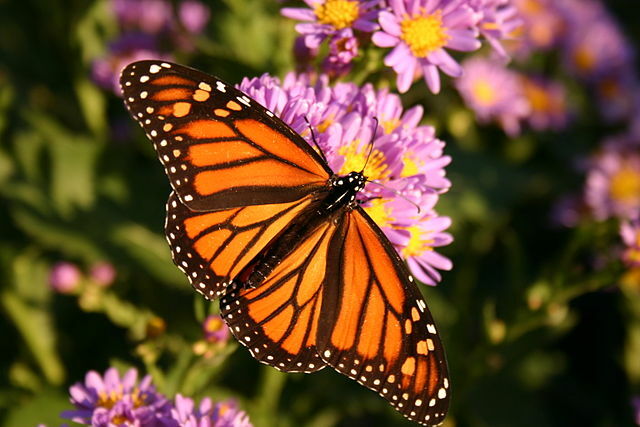 As I sat down to write about embracing change, I gazed out the window to gather my thoughts and suddenly a Monarch butterfly landed on the flowers in my window box. Perhaps the butterfly wanted to remind me of how beautiful change can be. Perhaps she wanted to tell me that there is nothing to fear. She appeared as if to say: "Look at me, I've gone through so many changes. So many in fact, my very existence symbolizes change. Change is what makes us beautiful"
I think about change a lot. I think about the ways I bring and have brought change in to my life and the ways change just happens. I think about my indecisions, the places where I am stuck, and the fear of unknown changes yet to come. I think about the what ifs. When will the next shoe drop? When I am facing making a decision that will bring about major change I can linger in indecision for far too long. When do you hold on and when do you let go? What are the pros and what are the cons? It took me months and months to make the decision to leave my corporate job. I analyzed and fantasized. I stayed in fear and polished my bravery. I had an inner battle between my soul and my brain. Eventually, my soul won. In the year since I've left, my world didn't crash and burn. Instead life flowed like water finding a new path. I live with less, I can't do all of the things I used to when I had a stable pay check. But I also lost the stress weight I gained, I feel and am healthier, and am by far way happier. "If you obsess over whether you are making the right decision, you are basically assuming that the universe will reward you for one thing and punish you for another. If this sounds too mystical, refer again to the body. Every significant vital sign- body temperature, heart rate, oxygen consumption, hormone level, brain activity, and so on- alters the moment you decide to do anything… decisions are signals telling your body, mind, and environment to move in a certain direction." All of life is one long unknowing. The changes I made, don't look like how I thought they would to the tee. But by making a decision, and one for my soul, I'm letting my environment move me in a certain direction. There will be more changes and decisions to make. There will be obstacles, and life changes that I don't have a choice over. But like the butterfly that appeared at my window and flew away, I know that by living for my soul, I can handle them and most importantly learn from them. What ever they may be, they will make me more beautiful.